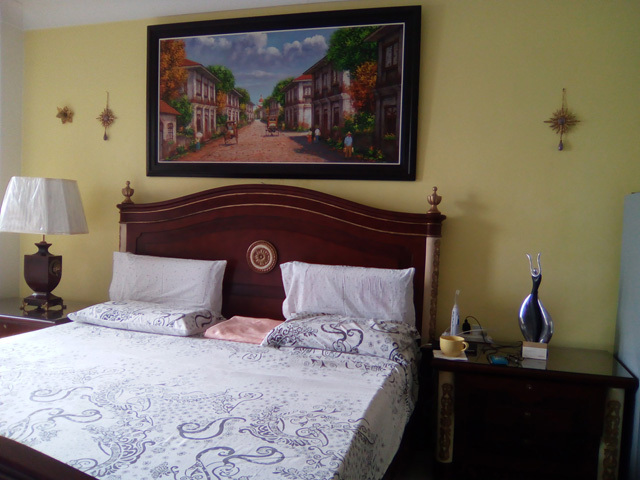 Beautiful, furnished, fully functional studio Mactan Condo 296 for rent at The Residences One Movenpick Hotel Mactan Island Cebu. It is located in the upper floor facing the Shangrila Hotel side offering sea and sunset views of Cebu. It is nicely furnished with high quality furnitures, very functional kitchen with lots of storage. Floor area of the unit is 32 sqm. Renter of this condo enjoys free access to Movenpick Hotel white sand beach and swimming pool, discounted rates at the restaurants/bar and shops. It is like living in a 5-star resort complex 365 days a year.